A dedicated and tireless champion for children's health, Eschmeyer created public-private partnerships to collaborate with diverse stakeholders to combat the epidemic of childhood obesity and food insecurity. Eschmeyer co-founded FoodCorps, a national AmeriCorps service program that places emerging leaders into schools in limited-resource communities for a year of public service. Throughout the year, FoodCorps service members teach hands-on lessons about food and nutrition; build and tend school gardens, teach cooking lessons; and help change what’s on school lunch trays, giving kids healthy food. In her role as Vice President of External Affairs, Eschmeyer helped build FoodCorps into a 182 member corps serving in 16 states and DC that supports the National School Lunch Program’s healthier guidelines ensuring kids eat the healthy school food on their trays, and lays the essential groundwork for children to build lasting relationships with healthy food. Fortune and Food & Wine recently selected Eschmeyer as one of “The Most Innovative Women in Food and Drink” permanently changing the way we eat and how we think about food. Eschmeyer is a recipient of the James Beard Foundation Leadership Award and the Xavier University Magis Award in recognition of her exemplary school food reform efforts and commitment to public service. Prior to FoodCorps, she served as a W.K. Kellogg Food and Community Fellow and as Communications and Outreach Director of the National Farm to School Network where she created One Tray, a national campaign to improve federal child nutrition programs. 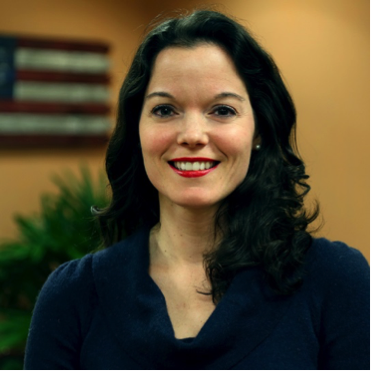 Growing up on a dairy farm in rural Ohio, Eschmeyer was ingrained at an early age with an appreciation for how nutrition policy meets the plow. In conjunction with her policy work, she started a fruit and vegetable farm in New Knoxville, Ohio, with her husband.